Norma Jean Young, author of The Great Integrity~Reiki Natural Healing, has dedicated her whole life to relieving suffering and pain through Reiki Natural Healing. Her pioneering inroads in Integral Medicine are many: Harvard HMO, Massachusetts General Hospital, Swedish Cancer Institute, many Medical Schools and more. She’s done research and served as Advisor to UW School of Nursing, bringing Complementary Treatment methods into curriculum. Her servant leadership has taken her to Lepers in Indonesia, Inuit in Greenland & founding the Wisdomkeeping Grandmothers Project. Beyond this, she brings a fun and light-filled instruction to her students, loving most to see the light come on in your eyes and your happiness and well-being come alive. Her book is available @ Amazon. Norma Jean is an integrationist and an innovator. She has served in the role of nurse, medical social worker, Waldorf teacher, Music Therapist, consciousness trainer (Arica Institute), seasoned Reiki Master and most valued Elder , setting a new Footprint and Integrity in the current Reiki Movement. 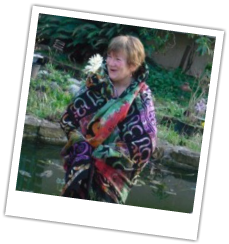 Norma Jean has pioneered Reiki Healing as a Clinician-Healer for 28 years and as an Instructor for 28 years. She has taught Reiki healing in 13 countries and served many Original Peoples including the Maori of New Zealand and the Inuit of Greenland. She has taught 'Intro to Subtle Energy Medicine: Exploring Reiki Treatment' for medical professionals at Harvard University, and has been engaged in two National Institute of Health research grant projects, one as principle practitioner testing Reiki efficacy with Fibromyalgia patients, and one as a Project Advisor to The University of Washington School of Nursing as they brought Complementary and Integral Health methods into their curriculum for 5 years. Norma Jean places her hands on the area of your body that needs support, giving reliable centering and balancing treatment. You may feel deep warmth, decreasing or disappearing pain, and a deep sense of harmony. Her professional treatment has added life to persons living with cancer, reduced the pain of headache and fibromyalgia, and de-stressed and integrated individuals living a fast-paced and demanding life. Reiki is ideal for individuals in retreat seeking an uplifted sense of well being and spiritual connection. Norma Jean is a Certified Waldorf Teacher (C.W.T.) and is the "Elder Reiki Master" in Washington State.